To view a summary of the previous Privacy Notice please click here. We know that you care how information about you is used and shared and we appreciate your trust in us to do that carefully and sensibly. This Privacy Notice describes how we collect and process your personal information through Amazon websites, devices, products, services, online and physical stores, and applications that reference this Privacy Notice (together "Amazon Services"). What Personal Information About Customers Does Amazon Europe Collect? For What Purposes Does Amazon Europe Process Your Personal Information? Does Amazon Europe Share Your Personal Information? Are Children Allowed to Use Amazon Services? Amazon Europe Core SARL, Amazon EU SARL, Amazon Services Europe SARL and Amazon Media EU SARL, all four at 38 avenue John F. Kennedy, L-1855, Luxembourg and Amazon Video Limited of 1 Principal Place, Worship Street, London, EC2A 2FA, UK (together "Amazon Europe") are data controllers of personal information collected and processed through Amazon Services. Details can be found here. Information You Give Us: we receive and store any information you provide in relation to Amazon Services. Click here to see examples of what we collect. You can choose not to provide certain information but then you might not be able to take advantage of many of our Amazon Services. Provide, troubleshoot, and improve Amazon Services. We use your personal information to provide functionality, analyse performance, fix errors, and improve usability and effectiveness of the Amazon Services. Recommendations and personalisation. We use your personal information to recommend features, products, and services that might be of interest to you, identify your preferences, and personalise your experience with Amazon Services. Comply with legal obligations. In certain cases, we have a legal obligation to collect and process your personal information. For instance, we collect from sellers information regarding place of establishment and bank account information for identity verification and other purposes. Communicate with you. We use your personal information to communicate with you in relation to Amazon Services via different channels (e.g., by phone, email, chat). Fraud Prevention and Credit Risks. We process personal information to prevent and detect fraud and abuse in order to protect the security of our customers, Amazon Europe, and others. We may also use scoring methods to assess and manage credit risks. Information about our customers is an important part of our business and we are not in the business of selling our customers' personal information to others. Amazon Europe shares customers' information only as described below and with Amazon.com, Inc. and the subsidiaries that Amazon.com, Inc. controls that are either subject to this Privacy Notice or follow practices at least as protective as those described in this Privacy Notice. Transactions involving Third Parties: We make available to you services, products, applications, or skills provided by third parties for use on or through Amazon Services. For example, you can order products from third parties through our retail websites, download applications from third-party application providers from our App Store, and enable third-party skills through our Alexa services. 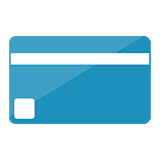 We also offer services or sell product lines jointly with third-party businesses, such as co-branded credit cards. You can tell when a third party is involved in your transactions and we share customer information related to those transactions with that third party. Business Transfers: As we continue to develop our business, we might sell or buy other businesses or services. In such transactions, customer information generally is one of the transferred business assets but remains subject to the promises made in any pre-existing Privacy Notice (unless, of course, the customer consents otherwise). Also, in the unlikely event that Amazon.com, Inc. or substantially all of its assets are acquired, customer information will of course be one of the transferred assets. Protection of Amazon Europe and Others: We release account and other personal information when we believe release is appropriate to comply with the law; enforce or apply our Conditions of Use and other agreements; or protect the rights, property or safety of Amazon Europe, our users or others. This includes exchanging information with other companies and organisations for fraud protection and credit risk reduction. Our devices offer security features to protect them against unauthorised access and loss of data. You can control these features and configure them based on your needs. Click here for more information on how to manage the security settings of your device. It is important for you to protect against unauthorised access to your password and to your computers, devices, and applications. Be sure to sign off when you finish using a shared computer. For more information on how to sign off click here. Amazon Services may include third-party advertising and links to other websites and apps. Third party advertising partners may collect information about you when you interact with their content, advertising, and services. 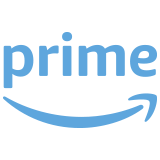 For more information about third-party advertising at Amazon Europe, including interest-based ads, please read our Interest-Based Ads notice. To adjust your advertising preferences, please go to the Advertising Preferences page. You can access your information, including your name, address, payment options, profile information, Prime membership, household settings, and purchase history in the "Your Account" section of the website. Click here for a list of examples that you can access. If you have any questions or objection as to how we collect and process your personal information, please contact our Customer Service. Many of our Amazon Services also include settings that provide you with options as to how your information is being used. As described above, you can choose not to provide certain information but then you might not be able to take advantage of many of the Amazon Services. You can add or update certain information on pages such as those referenced in the Information You Can Access? section. When you update information, we usually keep a copy of the previous version for our records. If you don't want to receive e-mail or other communications from us, please adjust your Customer Communication Preferences. If you don't want to receive in-app notifications from us, please adjust your notification settings in the app or your device. If you don't want to see interest based-ads, please adjust your Advertising Preferences. You will also be able to opt out of certain other types of data processing by updating your settings on the applicable Amazon website (e.g., in "Manage Your Content and Devices"), device, or application. For more information click here. Most non-Amazon devices also provide users with the ability to change device permissions (e.g., disable/access location services, contacts). For most devices, these controls are located in the device's settings menu. If you have questions about how to change your device permissions on devices manufactured by third parties, we recommend you contact your mobile service carrier or your device manufacturer as different devices may have different permission settings. Sellers can add or update certain information in Seller Central, update their account information by accessing their Seller Account Information, and adjust the email or other communications they receive from us by updating their Notification Preferences. Authors can add or update the information they have provided in the Author Portal and Author Central by accessing their accounts in the Author Portal and Author Central, respectively. Amazon Europe doesn't sell products for purchase by children. We sell children's products for purchase by adults. If you're under 18, you may use Amazon Services only with the involvement of a parent or guardian. We keep your personal information to enable your continued use of Amazon Services, for as long as it is required in order to fulfil the relevant purposes described in this Privacy Notice, as may be required by law such as for tax and accounting purposes, or as otherwise communicated to you. For example, we retain your transaction history so that you can review past purchases (and repeat orders if desired) and what addresses you have shipped orders to, and to improve the relevancy of products and content we recommend. If you have any concern about privacy at Amazon Europe or want to contact one of our data controllers, please contact us with a thorough description and we will try to resolve the issue for you. 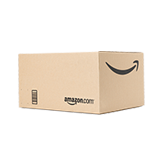 Further, the data protection officer for the above mentioned data controllers can be contacted at eu-privacy@amazon.co.uk. You can file a complaint with our principal supervisory authority, the Commission Nationale pour la Protection des Données in Luxembourg www.cnpd.lu, or with a local authority. employ Product Availability Alerts, such as Available to Order Notifications. As a result of those actions, you might supply us with such information as: your name; address and phone number; payment information; your age; your location information; people to whom purchases have been dispatched or people listed in 1-Click settings (including addresses and phone numbers); e-mail addresses of your friends and other people; content of reviews and e-mails to us; personal description and photograph in Your Profile; voice recordings when you speak to Alexa; images and video stored in connection with Amazon Services, information and documents regarding identity and standing; corporate and financial information; credit history information; VAT numbers; and device log files and configurations, including Wi-Fi credentials, if you choose to automatically synchronise them with your other Amazon devices. Your Profile (including your product Reviews, Recommendations, Reminders and personal profile). Sellers can access their account and other information, and adjust their communications preferences, by updating their accounts in Seller Central. Authors can access their account and other information, and update their accounts, on the Kindle Direct Publishing (KDP) or Author Central website, as applicable. Developers participating in our Developer Services Program can access their account and other information, and adjust their communications preferences, by updating their accounts in the Developer Services Portal, developers.amazon.com. Amazon.com, Inc. and certain of its controlled US affiliates (together, the Amazon Group Companies, or "We") participate in the EU-US and Swiss-US Privacy Shield Frameworks regarding the collection, use, and retention of personal information from European Union member countries, the United Kingdom, and Switzerland. We have certified with the Department of Commerce that we adhere to the Privacy Shield Principles. To learn more about the Privacy Shield Principles, see here. If you have any inquiries or complaints about our handling of your personal data under Privacy Shield, or about our privacy practices generally, please contact us at: privacyshield@amazon.com. We will respond to your inquiry promptly. If we are unable to satisfactorily resolve any complaint relating to the Privacy Shield, or if we fail to acknowledge your complaint in a timely fashion, you can submit your complaint to TRUSTe, which provides an independent third-party dispute resolution service based in the United States. TRUSTe has committed to respond to complaints and to provide appropriate recourse at no cost to you. To learn more about TRUSTe's dispute resolution services or to refer a complaint to TRUSTe, visit here. If neither Amazon nor TRUSTe resolves your complaint, you may pursue binding arbitration through the Privacy Shield Panel. To learn more about the Privacy Shield Panel, see here.